Your short journey to Lhasa starts with a breathtaking flight over the eastern Himalaya abroad an Air China aircraft. Mt. Everest (8850m), Mt Makalu (8478m), Kanchenjunga (8585m) and a host of other high Himalayan peaks should be visible on a clear day as the aircraft wings first east and then north to Lhasa. The flight time is short-only 50 minutes but, Lhasa is two hours fifteen minutes ahead of Kathmandu and the mountain scenery is a lifetime worth of experiences! If you lack time this is the trip to take. 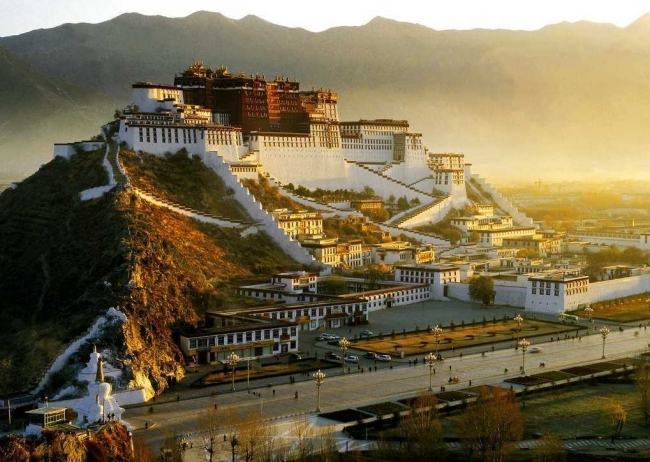 Three days in Lhasa allow you to explore the wonders of soaring and gilded palaces, temples and monasteries that are treasures of both religion and art. More importantly however, is that they symbolize the grand cultural mix that is today’s Lhasa -a vibrant city with a gloriously historic past that is fast catching up with the modern metropolises of today’s rapidly growing China. Day 03 Transfer to the airport and fly to Lhasa. Day 04 Sightseeing in Lhasa including the Potala Palace and the Norbulinkha. Day 06 Transfer to the airport and fly back to Kathmandu. Day 08 At an appointed time, transfer to the airport for your departure from Nepal. At the end of this trip it is possible to fly to Chengdu or other points in China to continue your vacation. Please ask for this service.